Is Interstellar Rift a dime a dozen in the space-exploration genre, or is Split Polygon onto something special? This article is part of a series focusing on the most notable games at this year’s INDIGO gaming exhibition held September 25-26 in Utrecht, The Netherlands. 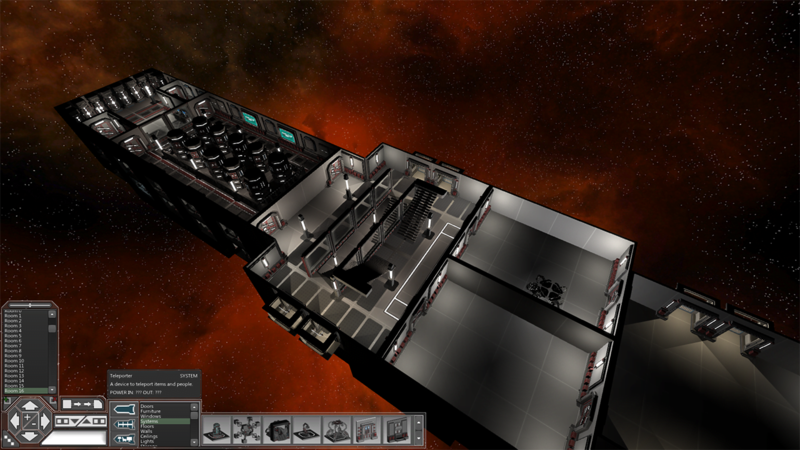 Space exploration, multiplayer space combat, trading, customizable ships…. Yeah, yeah, yeah, we’ve heard that before. Just put it with the rest of them and leave. As much as permadeath survival games were booming the last couple of years, space exploration games carry the hype today. That sounds mighty ambitious, where are you at now? The technology is there, and it works. You can already join servers of max 64 people, join spaceships or create your own. Our programmer, Leroy Sikkes, started creating this engine years and years ago. It was his passion project, and now there is a whole team aboard. I’ve rarely seen a developer as hyped for his game as Alexander. He was conversing, but in the back of his mind, he might just have been designing loads of assets assets during the interview. This isn’t Sims in space, but IR lets you decorate your ship with plants and toilets. In my time with Interstellar Rift, I’ve seen a ship building tool, a space to test them in, and a mining mechanic – the most notable of which was the ship building. You connect blocks on a blueprint, press construct, and the ship will be ready to teleport to. This construction is more in depth than you would think after one glance. The ship needs energy, fuel, engines as well as building resources. Right now, Interstellar Rift isn’t much more than a meagre, early prototype. I had little fun with the scarce features that are in the game, but it has yet to convince me that it has a shot at greatness. What I’ve seen of the game’s mechanics so far has proven its uniqueness though, enough to make me keep an eye on its progress. Interstellar Rift is a long time from release, but the pre-alpha is available for free here. A long time ago, Tom was pulled in the world of digital warfare & pixelated adventures. Tom became a journalist and the pixels increased in numbers. Today he writes about them from his humble shack in the Netherlands.